Claire Tacon’s first novel, In the Field, was the winner of the 2010 Metcalf-Rooke Award. 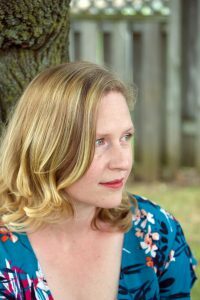 Her fiction has been shortlisted for the Bronwen Wallace Award and the CBC Literary Prizes. She is a lecturer at St. Jerome’s University and runs the fiction podcast The Oddments Tray with Chioke I’Anson. For more information visit clairetacon.com .